On-trend and oh-so summery, the Lucia Top is a holiday wardrobe must-have. With a fun frill and off-the-shoulder silhouette, Lucia makes adding a touch of glam to your outfit a breeze. 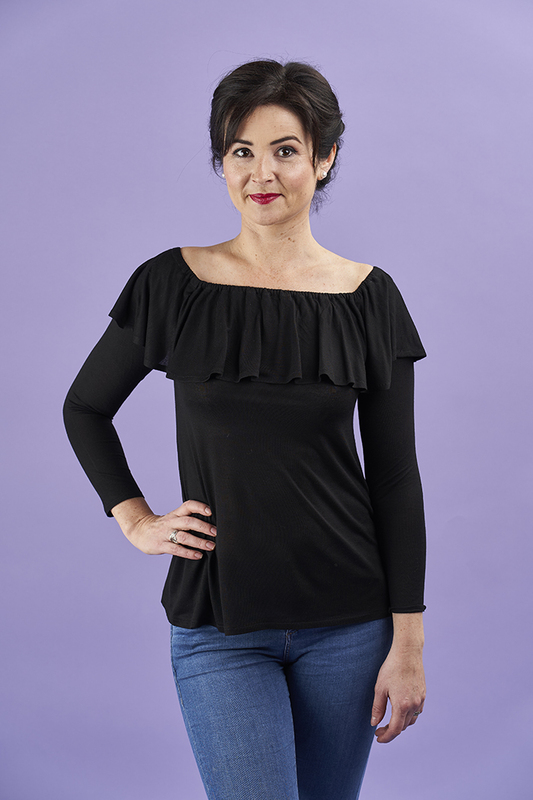 Deliciously simple to sew, Lucia features a front and back bodice, sleeve and frill, and stays in place with an elastic channel around the top of the frill. Keep it contemporary and pull the frill down to expose your shoulders, or let it rise onto your shoulders for a more everyday vibe. 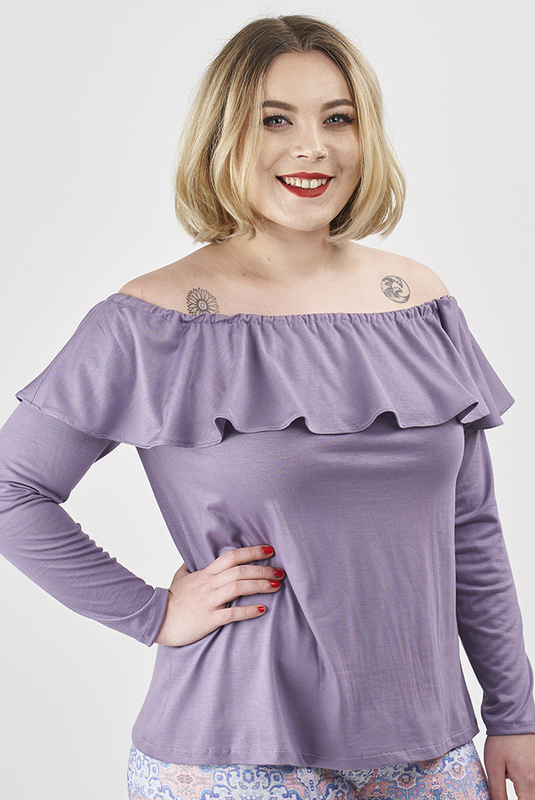 Surprisingly easy to wear, pair the Lucia Top with your favourite Ultimate Culottes, Ultimate Trousers or cute pair of shorts. Try her with the Ultimate Pencil Skirt for a seriously sultry look. Easy to modify to suit your style, you can shorten the sleeves for warm days, crop the hem for an on-trend look, and even lengthen her into a dress. The frill allows you to have fun with colour-blocking too – why not sew the body and sleeves in a classic stripe and add a pop of solid colour with the frill? See what other people have been making in the Lucia Top Gallery. The Lucia is an advanced beginner level sewing pattern, ideal for those who have sewn a few garments before. It’s a great pattern for those new to sewing lightweight knits. For the Lucia Top we recommend using lightweight knit fabrics with drape, such as lightweight viscose and lightweight cotton jerseys. Because the frill is cut as a circle, we recommend avoiding stripes and any fabrics with a strong one-way design. To find the perfect fabric, have a look at our specially curated suggestions. Eden’s Lucia Top and both of Lisa’s are made in viscose jersey. 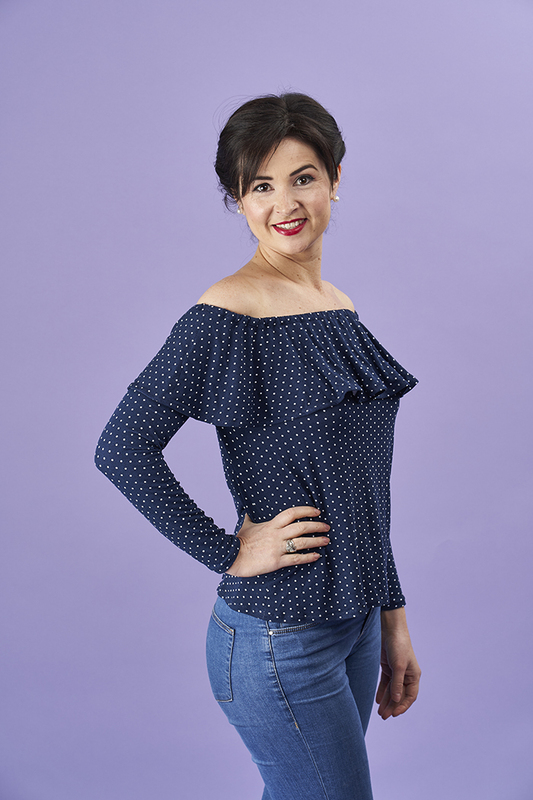 The Lucia Top sewing pattern is sized between UK sizes 8-20. See the chart for details on fabric requirements. The tiled print-at-home Lucia Top PDF sewing pattern is 18 pages long.